Analysis: Meanwhile, Julian Edelman caught seven of his 10 targets for 96 yards and TE Rob Gronkowski hauled in six of his 11 targets for 79 yards. With Josh Gordon no longer in the mix, Hogan profiles as the Patriots' clear-cut No. 2 wideout option as Super Bowl LIII against the Rams approaches, an assignment that carries with it a degree of fantasy utility. Analysis: Though Hogan started and was on the field for 62 of the Patriots' 75 snaps on offense Sunday, he was not one of the two wide receivers (Julian Edelman and Cordarrelle Patterson) targeted by QB Tom Brady in Week 16. Looking ahead, Hogan figures to log plenty of snaps in the absence of Josh Gordon, but a lack of steady volume makes him a hit-or-miss fantasy option. 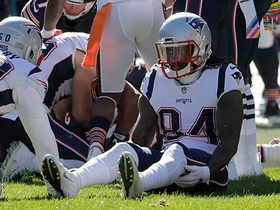 Analysis: As has been the case of late, Hogan -- who was on the field for 39 of 62 plays on offense Sunday -- was out-snapped by fellow receivers Julian Edelman (58) and Josh Gordon (57). 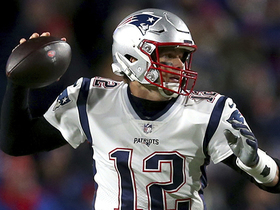 Hogan's fantasy stat line Week 15 was salvaged by his big play, but it'll be tough to count on those arriving on a weekly basis, given that New England QB Tom Brady has so many options in the passing game. Hogan was on the field for 34 of a possible 82 snaps on offense in Sunday's 34-33 loss to the Dolphins. Analysis: Hogan, who once again was out-snapped by fellow receivers Julian Edelman (75) and Josh Gordon (71), did not haul in his only target Sunday. 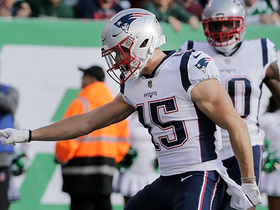 He's still capable of making the occasional big play, but in his current role in the New England offense, Hogan is largely off the fantasy radar. 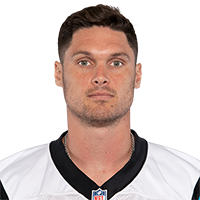 Hogan was on the field for 32 out of a possible 74 snaps on offense in Sunday's 24-10 win over the Vikings, en route to catching both of his targets for 20 yards. Analysis: That's five straight two-target games for Hogan, whose fantasy upside is capped by the presence and productivity of fellow receivers Julian Edelman and Josh Gordon. Hogan was on the field for 28 of the Patriots' 70 offensive snaps (40 percent) in Sunday's 27-13 win over the Jets and finished with two receptions for 47 yards on two targets. Analysis: Hogan drew fewer snaps that fellow receivers Julian Edelman (60) and Josh Gordon (53) by a wide margin and may have been negatively impacted by tight end Rob Gronkowski's (back/ankle) return from a two-game absence. With so many mouths to feed in the team's passing attack, steady weekly volume isn't always going to be available for Hogan. He looks like a marginal fantasy lineup option in his current playing context. 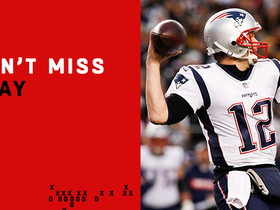 Hogan was on the field for 54 of the Patriots' 66 snaps on offense in Sunday's 34-10 loss to the Titans. Analysis: Despite seeing action on 82 percent of his team's offensive snaps Week 10, Hogan was targeted just once and did not catch a pass for the second consecutive game. The Patriots are on bye Week 11, so Hogan's next chance to haul in a reception will arrive Nov. 25 against the Jets. Hogan's fantasy upside in that contest figures to hinge on the status of fellow receiver Julian Edelman, who was forced out of Sunday's game with an ankle injury. Hogan was on the field for 53 of a possible 71 snaps on offense in Sunday night's 31-17 win over the Packers. 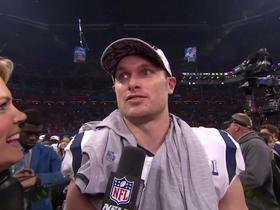 New England Patriots wide receiver Chris Hogan reacts to his team's Super Bowl LIII win over the Los Angeles Rams. 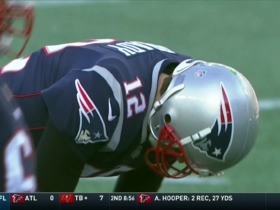 New England Patriots quarterback Tom Brady crouches over in frustration after missing a wide-open target in the end zone. 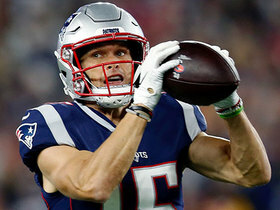 New England Patriots wide receiver Chris Hogan is wide open on a 63-yard touchdown catch against the Pittsburgh Steelers. New England Patriots wide receiver Chris Hogan jumps up and catches 27-yard pass from quarterback Tom Brady. 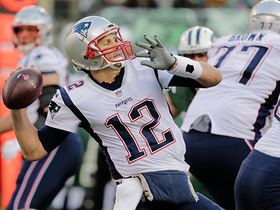 New England Patriots show multiple play-fakes to set up quarterback Tom Brady's 20-yard pass. New England Patriots quarterback Tom Brady makes a perfect pass to wide receiver Chris Hogan along the sideline for 20 yards. 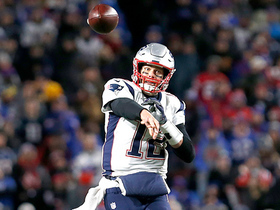 New England Patriots quarterback Tom Brady throws a perfect pass to wide receiver Chris Hogan over the middle. The "NFL Fantasy Live" crew list players that aren't always in the spotlight, but also deserve the love. 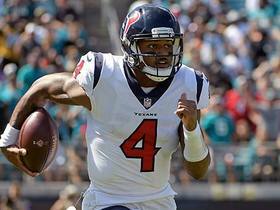 NFL Network's Maurice Jones-Drew lets you know what you should do with players that aren't doing well on your fantasy team.